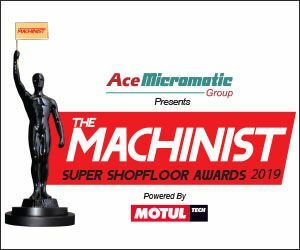 Organized by Worldwide Media (WWM) the magazine subsidiary of The Times of India Group (BCCL), ‘The Machinist Super Shopfloor Awards’ is built on the legacy of organising ‘Best in class’ Awards platforms like Filmfare and Top Gear India to name a few. 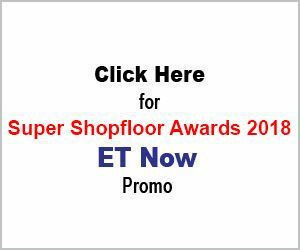 Started in 2015, The Machinist Super Shopfloor Awards platform has already created a benchmark through its credibility, industry acceptance and popularity in India’s discrete manufacturing sector. Some of the best manufacturing brands in the country have participated in this platform in last four years and more companies are expected to join in this year. Further, there are two segments to create a level playing field - Large Enterprises & SMEs. Sending entries is simple and the nomination form is self-explanatory. Nomination FAQs are also provided to help plants create their nominations. 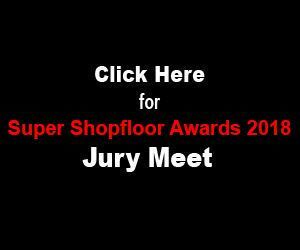 Nominations are assessed by a panel of eminent Jury Members who are top management industry experts with substantial experience. The winners are felicitated at a Grand Awards ceremony, which is the first and only Red Carpet function for the Manufacturing Industry in India. The winning team takes home the coveted ‘Machie’ trophy, which has become so popular that many now refer to the Awards platform as the ‘Machie Awards’.